My father is one of the more adventurous and creative cooks in our family. 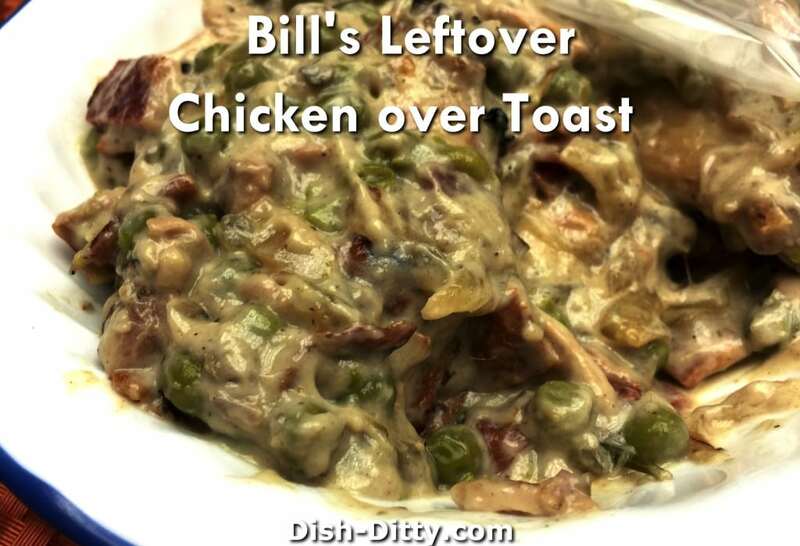 This was something he made one night with some of his leftover chicken. It doesn’t look like much, but it was delicious! At 86 years old, my Dad still likes to cook. But sometimes it becomes difficult to stand for too long and it’s tough to have to eat the same thing over and over when there are leftovers. 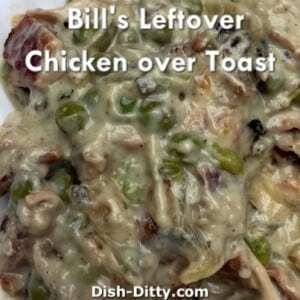 This was a creative way he took some of his leftovers and turned it into a new dinner. It was modeled after my mom’s Tuna on Toast recipe, and I think he took a little influence from his times in France. 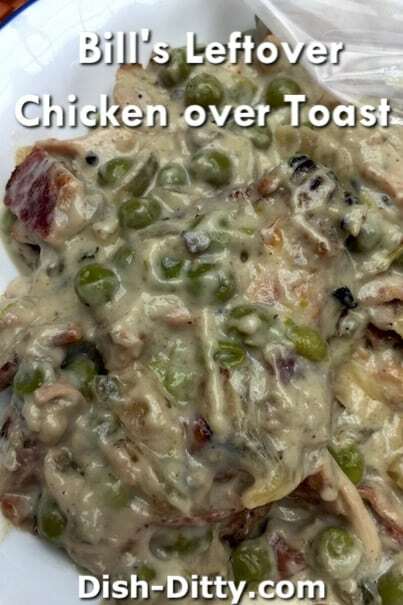 This dish is great over toast, rice, pasta or potatoes. Very versatile. Cook the bacon until the fat is rendered and the bacon is slightly crispy. Remove the bacon and set aside. Sauté the onion in the bacon fat until the onion is translucent and slightly browned on the edges. Add the wine and rosemary sprig to the onions and cook, stirring frequently, until the wine is reduced in half. About 2-3 minutes. Add the remaining ingredients and cook until hot. Serve hot over toast (or rice or noodles or even potatoes). No Replies to "Bill's Leftover Chicken over Toast Recipe"